Gesaffelstein (pictured) stands atop a towering chrome pyramid in the centre of the stage. Silence falls. One hand is poised over the controls, ready to unleash mayhem. The other is raised up, beckoning to the crowd; a scream-if-you-want-to-go-faster gesture, the response confirms people do. Nodding, the artist restarts the blistering sonic assault on his audience. The room descends into chaos. People are swept into a monstrous metallic soundscape. All is glorious. Gesaffelstein, AKA Mike Lévy, brought his show to Koko in London on February 14th as part of a European tour in support of debut album, Aleph. Lévy has slowly crept onto the techno scene, and into cultural awareness since 2008, during which time he has worked with the likes of Kanye West, Lana Del Ray, Tiga and, of course, fellow Parisian, Brodinski. He even has a song on the new Grand Theft Auto game. He describes his music as “dance metal”, and agree or not there’s certainly a unique energy in there that’s difficult to find elsewhere. If Daft Punk represented one end of the French electronic spectrum, Gesaffelstein stands at the opposite, providing a tense, riotous antithesis to those feel-good, summer-night vibes. The name comes from a blending of the German word ‘Gesamkunstwerk’ and the name of famous physicist Albert Einstein. The former translates roughly as “all-embracing art form” and the latter reflects the artist’s desire to be scientific about his work. Far from irrelevant, these concepts are apparent in his live show. Lights, video and sound all work simultaneously, giving him total control over the crowd, with the visuals are just as engaging as the music. More a Gesaffelstein experience than gig. KOKO’s architectural grandeur and blood red design is the perfect setting for this brand of dark, punk-inspired techno too. Lévy starts before 9PM and is done by 10:30. The set times imposed by KOKO are not ideal for ravers and subsequently the venue only just fills up when the set begins. Nevertheless, Lévy plays with brutal intensity and appears to enjoy his music just as much as the crowd. Opening with low vibrating tension, the score quickly builds to deafeningly aggressive heights. 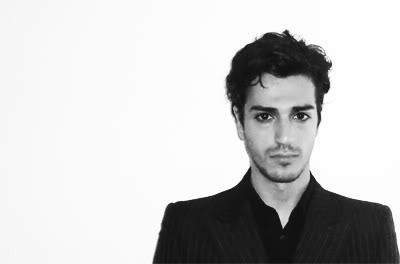 Although there is not a huge amount of difference in Gesaffelstein’s discography, he handles the music brilliantly, playing around with tracks, cutting basslines from one into the vocal samples of another, using drawn out breakdowns and silences to drive the crowd into frenzied anticipation. You quickly give up on what exactly you are hearing, knowing only that it sounds amazing. When favourites like Pursuit and Hate or Glory drop, mosh pits break out across the venue. It’s the kind of music that might accompany the apocalypse, and attendees love it. The aesthetic plays a huge role in creating this excitement. Beams of light shoot across the stage in time with the music, creating pyramids and other shapes that frame Lévy against the darkness. In one instance, as we approach the sonic climax screens flash through black and white images of human history, like the twisted opening to The Big Bang Theory broadcast in a parallel universe, before the montage explodes into stars and the track drops. Gesaffelstein’s music demands your attention; you have to engage with it or you end up hearing only an incoherent wall of sound, and in the live arena that experience is so powerful you lose yourself in that cacophony entirely. To put it succinctly, it’s a ride we won’t forget in a hurry.